How to transform relocation into a creative life transition. Moving is a major source of anxiety and stress. It’s also a unique opportunity for personal growth, a chance to take on a new identity and discover parts of us that may not have fit our old concept of who we were. Offers reader a challenging reappraisal of what it means to make a major relocation and a step-by-step plan designed to make the transition a positive experience. Moving Gracefully: A Guide to Relocating Yourself and Your Family is an easy-to-read, comprehensive guide which walks the reader through the entire moving process, from making the decision to move, through getting adjusted to new surroundings. 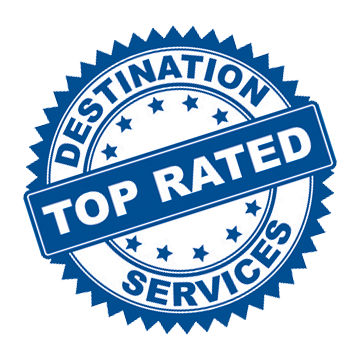 It addresses local and distant moves, moving with children, moving with pets, and includes many helpful websites. The personal recollections and tips are insightful, engaging and well written; and the coverage of the topics are well-researched and follow a logical process. Even those who are experienced at relocating will learn something from this practical book. If you have ever wondered what it is like to live abroad, work abroad or accompany your working partner abroad, this book is for you. 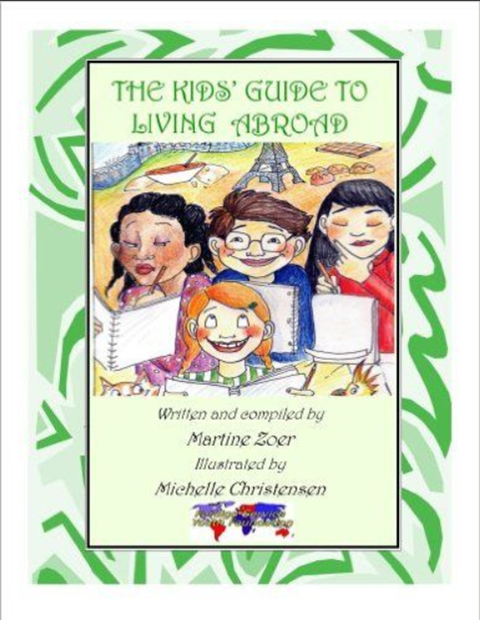 If you are already living the expat life but have mixed emotions about settling in, rebuilding your identity, relationship changes, successfully managing your money and career, raising children far from home or repatriating, this book is also for you. The Expert Expat: Your Guide to Successful Relocation Abroad is essential reading for anyone moving overseas. Personal stories drawn directly from the authors’ dozens of years abroad as well as the experience of countless expats worldwide help prepare readers for the exhilarating and daunting task of establishing a life far from home. Now more than ever, The Expert Expat’s practical advice and encouragement help to ease challenges and create rewarding experiences while living abroad. New to this edition is an important chapter on safety, including expert advice on preventing identity theft and responding to terrorist threats. And for those increasing numbers going solo, The Expert Expat gives guidance on networking, establishing a home, and traveling alone. This book is designed to help the young and internationally mobile embrace the opportunities and challenges of an overseas assignment while still holding on to the personal fulfillment they need to succeed in their international careers. 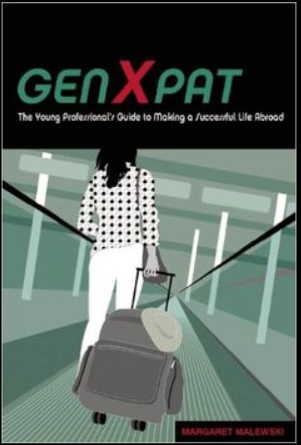 GenXpat answers questions such as how to optimize contracts, deal with culture shock, build social networks, find romance and prepare to return home smoothly. The BIG Guide to Living and Working Overseas is THE WORLD S BEST international career guide, written mainly for college students and young professionals, it also applies to career changers and world travelers. At a whopping 1,800 pages (including CD-ROM), The BIG Guide contains expert advice on gaining experience through study and internships, succeeding and adapting to overseas living, career planning, job searching, international resumes, international interviews, specific professions abroad and 3,045 carefully researched organizations offering professional jobs and international career resources. The BIG Guide is your ticket to success and adventure! For short-term visitors to the U.S., this latest edition of Living in the USA offers advice on finding an apartment, doing business, obtaining healthcare, and navigating everything from the bank to the customs line at the airport. Those staying longer will gain insight into the American work and school environments, friendships, values, and more. As the cultural diversity of the United States continues to increase, the issues surrounding multiculturalism continue to be of great importance. With updates throughout and a fresh, new design, the Fourth Edition of American Ways retains its values-based perspective in examining what makes the U.S. unique — and how traditional values influence various aspects of American life such as religion, business, government, race relations, education, recreation, and family. 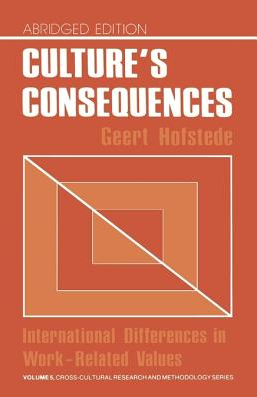 In his bestselling book Culture’s Consequences, Geert Hofstede proposed four dimensions on which the differences among national cultures can be understood: Individualism, Power Distance, Uncertainty Avoidance and Masculinity. This volume comprises the first in-depth discussion of the masculinity dimension and how it can help us to understand differences among cultures. The book begins with a general explanation of the masculinity dimension, and discusses how it illuminates broad features of different cultures. The following parts apply the dimension more specifically to gender (and gender identity), sexuality (and sexual behaviour) and religion, probably the most influential variable of all. Third Culture Kids speaks to the challenges and rewards of a multicultural childhood; the joy of discovery and heartbreaking loss, its effect on maturing and personal identity, and the difficulty in transitioning home. You’re busy, you’re moving and you don’t have time to read a long book or spend hours online searching for answers to your moving questions. Organize Pack Move! is the moving reference guide full of concise information to save you time, money and energy when you move. Written in a unique, one-page-per-topic format, Organize Pack Move! is divided into six sections: Preparation and Initial Decisions, Organizing for Your Move, Donating and Selling, Packing and Moving, Settling In, Checklists and Worksheets. The book’s authors, Joan Hobbs and Nancy Giehl, are owners of a downsizing and relocation company, Simple Moves, located in Boulder, Colorado. They wrote this book after watching people make the same mistakes while moving; spending more money and wasting more time than they needed to and ending up emotionally and physically exhausted. Organize Pack Move! helps combat all those frustrations. Change & transition & the ability to cope with it vary from individual to individual. There are both positive & negative types of change, & each person deals with it in his/her own way. This volume addresses the effects of positive events related to upward social, educational & occupational mobility & with the processes of growing up & developing within & across boundaries. It opens with theoretical discussions of how & why change, even in a positive context, might be stressful to some people. Also explores the effects of a broad variety of changes & discusses two coping strategies: the first addresses strategies for aiding immediate adjustment; the second considers more general strategies designed for adjustment in the long term. Every child experiences change—it’s part of life. Change, for children, can be a very unsettling experience. In Good Answers to Tough Questions About Change and Moving, Joy Berry talks about changes that everyone goes through and gives specific advice for handling the change. Special attention is given to a change that many young people have to face—moving. The combination of cartoons and text makes this book something your child will both enjoy and find very helpful.